Home Promotions Starbucks Start your morning with a Starbucks drink cheaper than your regular hawker Kopi-O! 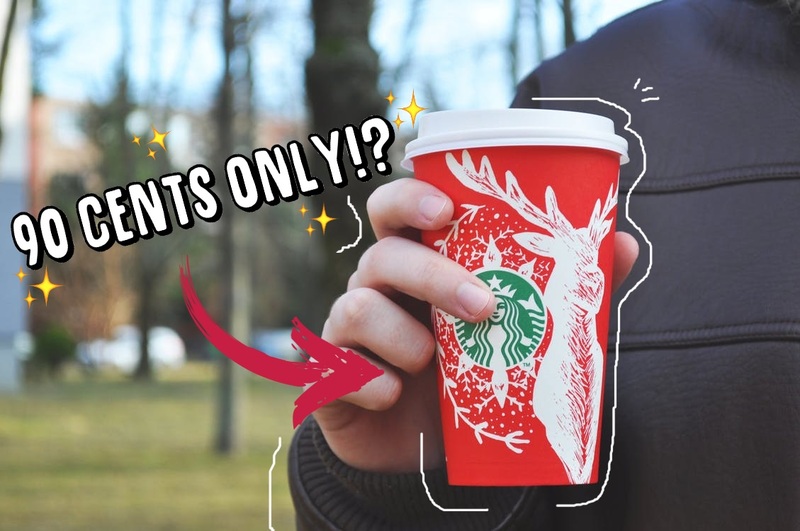 Start your morning with a Starbucks drink cheaper than your regular hawker Kopi-O! 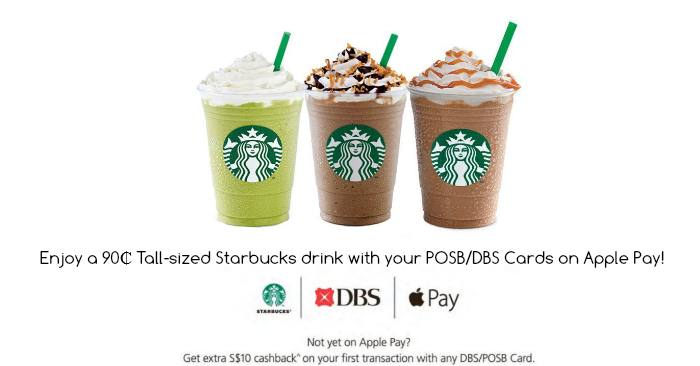 Enjoy a 90₵ Tall-sized Starbucks drink with your POSB/DBS Cards on Apple Pay! Valid from now till 14 May 2017. Promotion is available at all Starbucks outlets. For more information on this promotion, click here. Here’s how to add and use your POSB/DBS Debit and Credit Cards on Apple Pay. Promotion is only applicable for Tall-sized Starbucks drink at all Starbucks outlets in Singapore. Promotion is not valid with any other promotional offers or discounts. Any change in drink size or additional condiments are to be paid for by customer. Promotion is valid till 14 May 2017 for the first 120,000 redemptions, while stocks last. Limited to 1 redemption per transaction. For DBS General Promotions terms and conditions, please refer to go.dbs.com/sg-cardstnc.